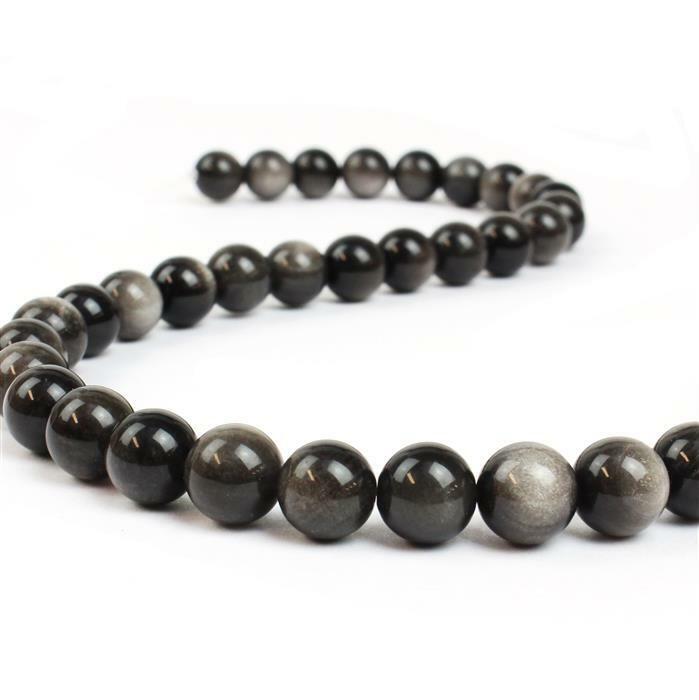 These fabulous Silver Obsidian Plain Rounds will inspire you to create an amazing collection. Again...disappointed at the very few (three only) across the strand having the 'milky way' appearance expected. Such a shame that most will end up as stretchy bracelets that won't sell for as much as they're worth.